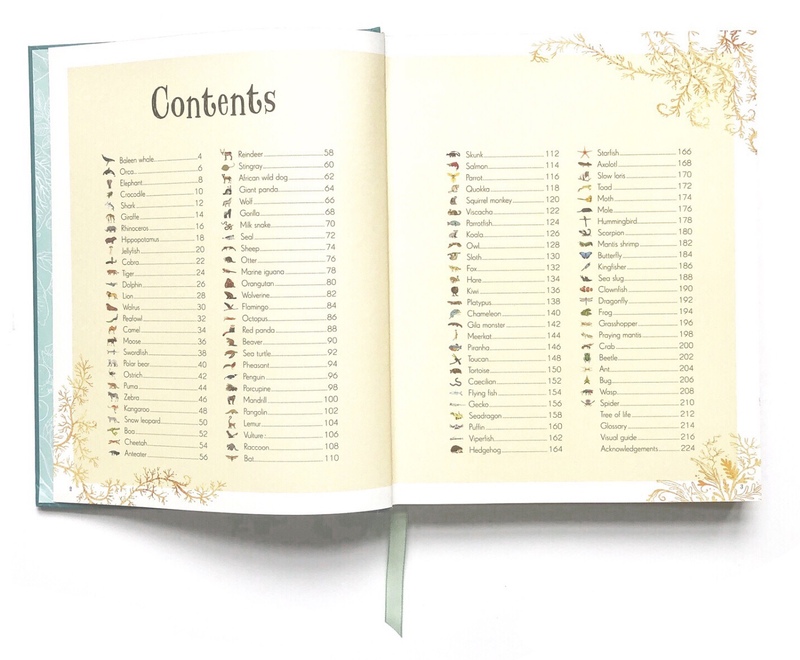 Which Montessori parent doesn't love DK books? 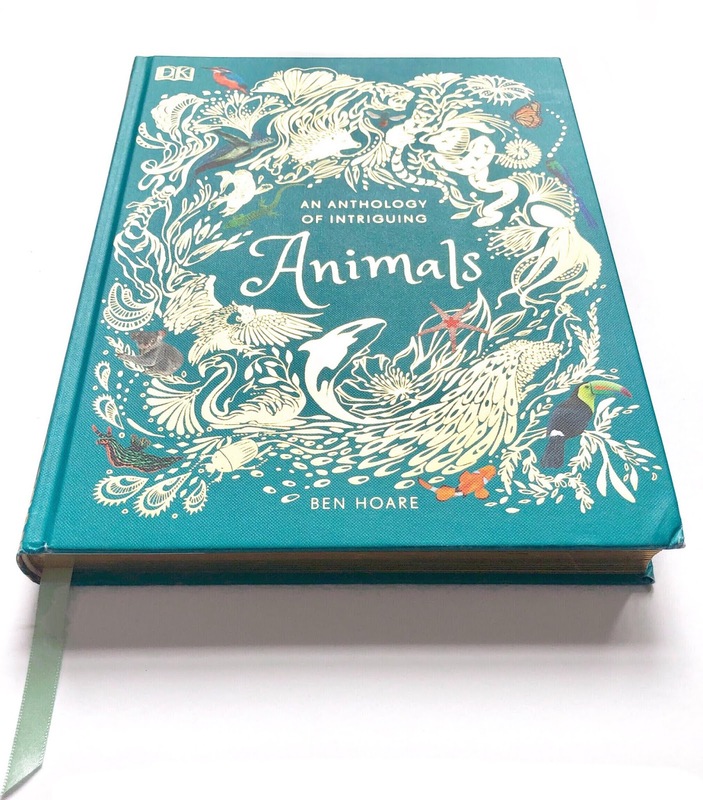 This is a special one though: it features over 100 animals, arranged from big to small, combining stunning photography and exquisite illustrations in a beautifully crafted, shiny edition. 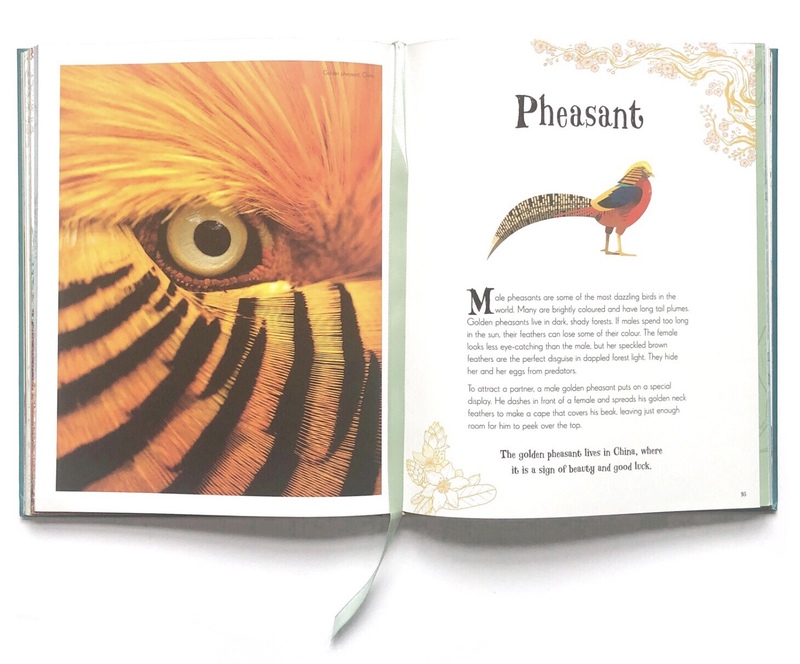 Each double page spread explores one animal: a short text paragraph focuses on some intriguing facts, while the illustrations show the animal full-size and a large close-up offers an unusual, hyper realistic perspective. 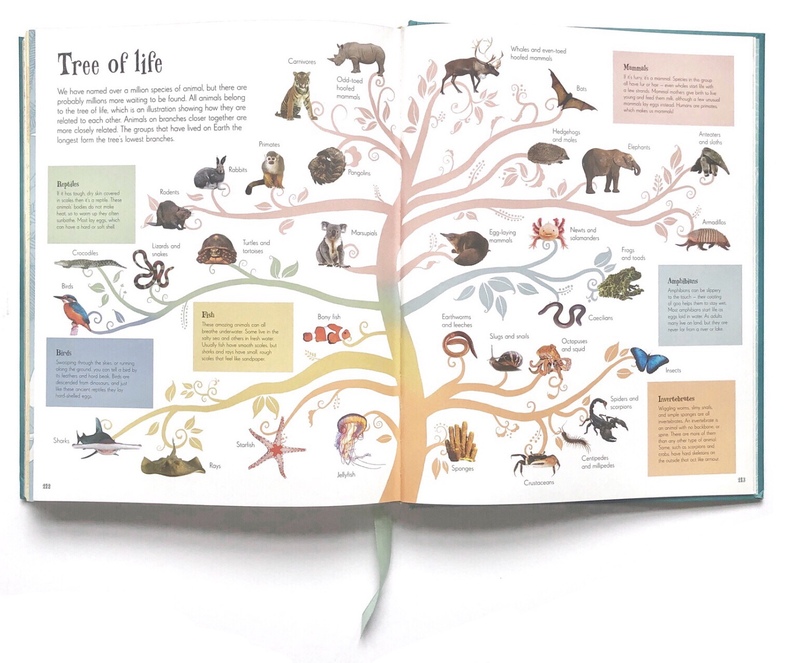 The back matter includes a tree of life of the animal species listed in the book, an illustrated visual guide and a glossary. This volume is just perfect for pre-schoolers and as an addition to classroom libraries, including book corners in Montessori children's houses. 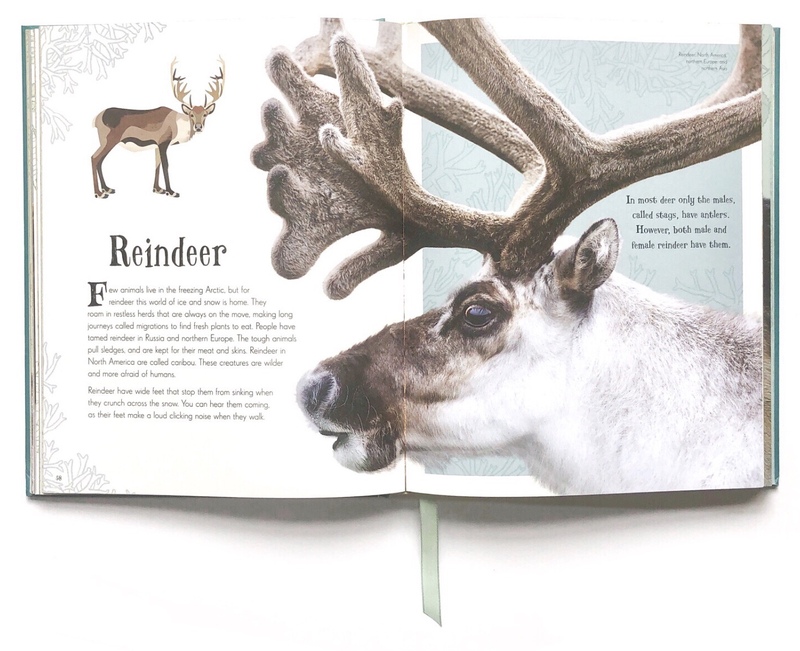 The layout (and the golden pages my daughter would say:) which brings photography and illustration together therefore bringing the child closer to the reality of wildlife. 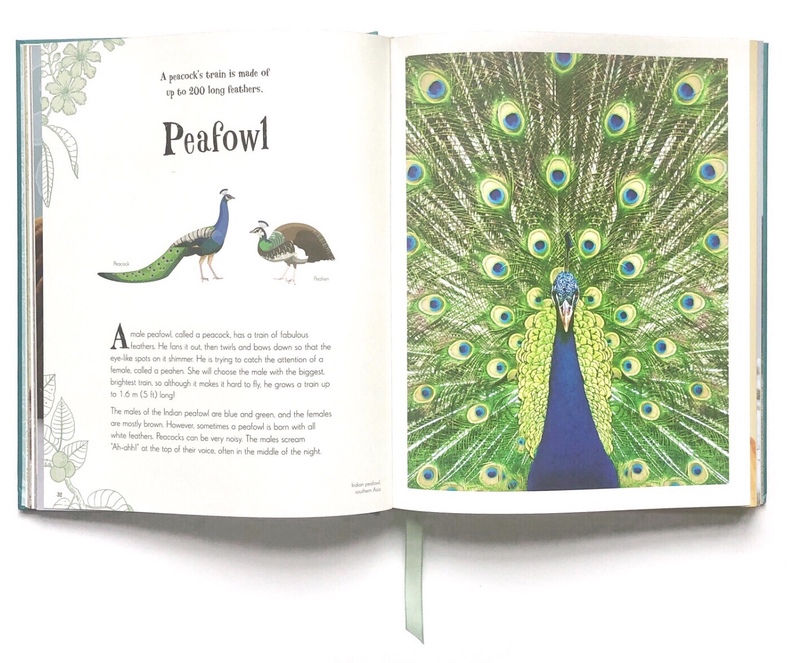 I believe that, despite how powerful and beautiful illustration can be, children should be offered real images (of anything from animals, landscapes, everyday objects) as early as possible. They don't need simplified, sugar-coated versions of reality. 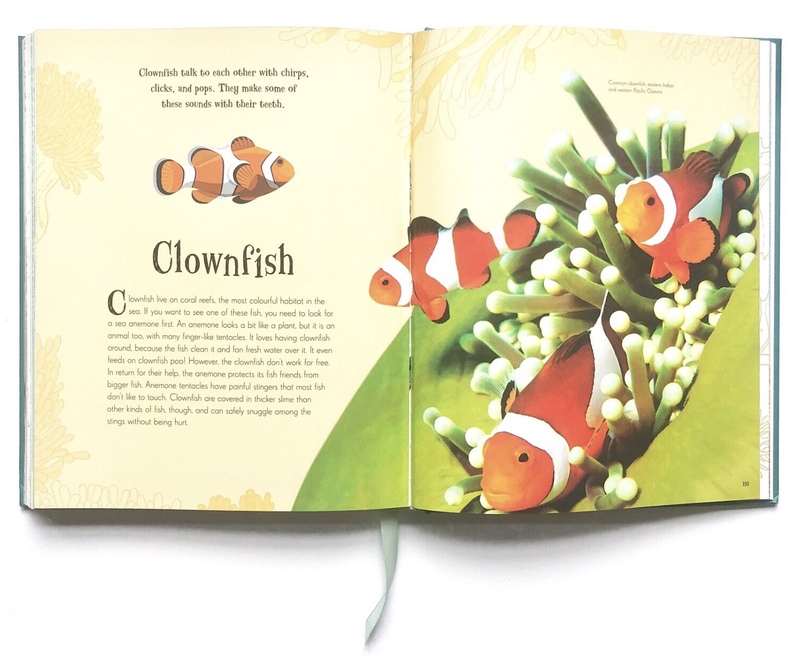 That's why I value DK commitment to create highly visual non-fiction books. We've been reading this every day in the past weeks and my daughter also loves to draw copying the images from the book, which turned to be truly intriguing. 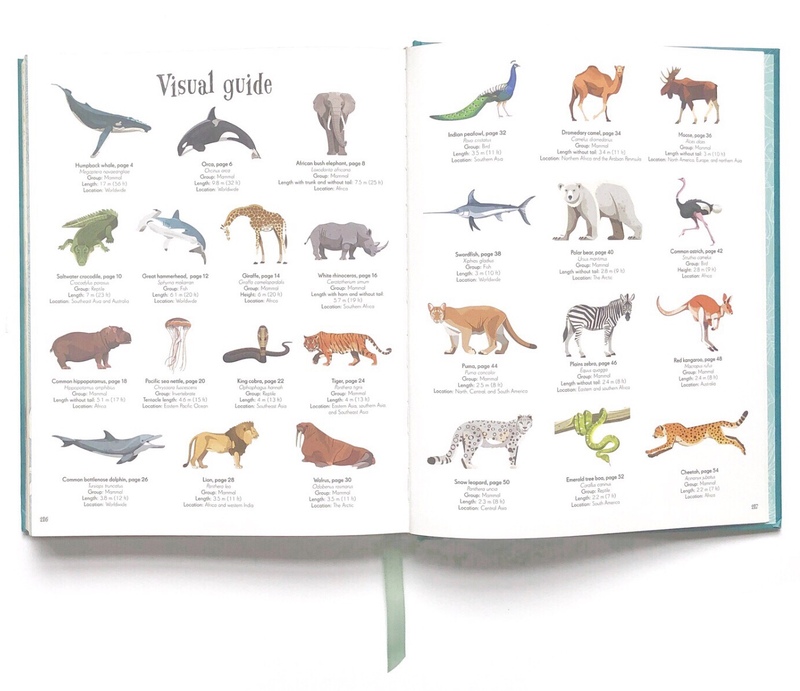 An Anthology of Intriguing Animals is also available in French. We look forward to the second volume, out next September.